* We want to estimate the average partial effect. * estimate than the coefficients from the probit. 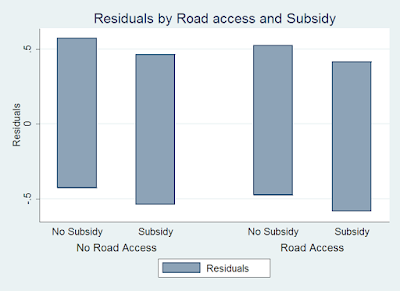 label define subsidy 0 "No Subsidy" 1 "Subsidy"
label define road_access 0 "No Road Access" 1 "Road Access"
label var Py "True probability of market sale"
* We have to first calculate the true average partial effect. * average across all observations. * can not be directly interpreted as partial effects without a transformation. 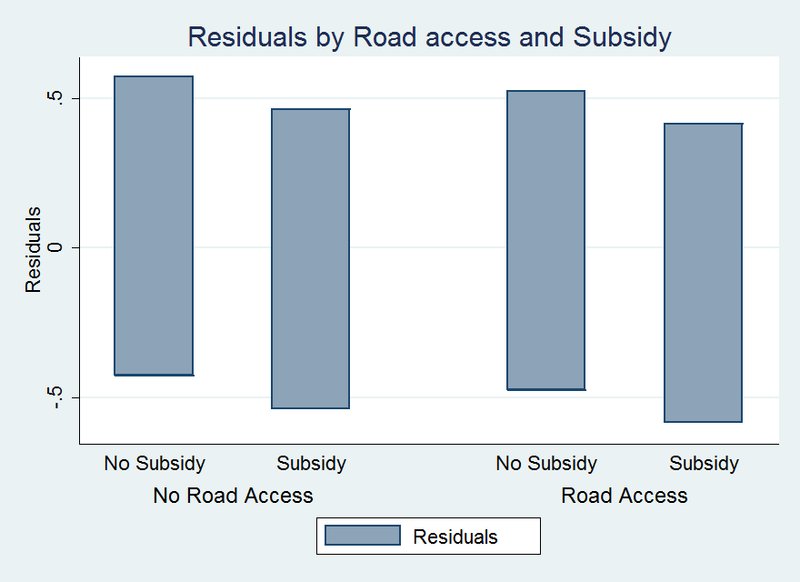 * yields results that are very similar to the post estimation partial effects estimates. * We can see that the errors are heteroskedastic in the explanatory variables. * the errors are heteroskedastic. * the true partial effects.